Lonely Planet Costa Rica is your passport to the most relevant, up-to-date advice on what to see and skip, and what hidden discoveries await you. Snorkel the teeming reefs off Manzanillo, explore some of the globe's best wildlife-watching destinations, or dig into Costa Rican culture and cuisine in San Jose; all with your trusted travel companion. Get to the heart of Costa Rica and begin your journey now! 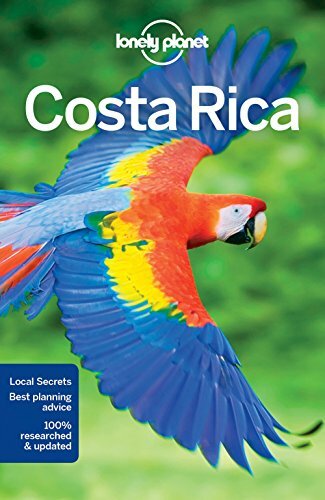 The Perfect Choice: Lonely Planet Costa Rica, our most comprehensive guide to Costa Rica, is perfect for both exploring top sights and taking roads less traveled. Looking for more extensive coverage? Check out Lonely Planet Central America on a Shoestring guide for a comprehensive look at all the region has to offer. View More In Nature Travel. If you have any questions about this product by Lonely Planet, contact us by completing and submitting the form below. If you are looking for a specif part number, please include it with your message.